(Source: NetMarketShare) What are your options? Firstly how old is your hardware that Windows XP is installed on? Some people are running hardware that is 7 or 8 years old, in which case we certainly believe it is time to put this out to pasture, and get yourself a nice shiny new computer. 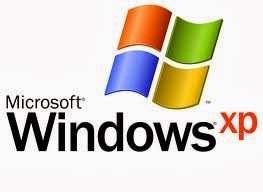 What if for some reason you are running XP on hardware that is less than 3 years old? Replace the hardware, and then run the Windows Easy Transfer Wizard to migrate your data and settings to your nice New Windows 8 device. Hopefully you will have purchased something with Windows 8.1 pre-installed! But if you didn't then you will need to download the Windows 8.1 Upgrade, this will be available in the store. If it isn't the first screen you see, then simply run the Windows update, the computer will need to reboot, and then when you visit the store the upgrade will be available. What are you going to gain? What options are available to you to upgrade?